The Government here in the UK has recently announced changes to what makes a child eligible to receive free school meals during their earliest school years in year one and two. There’s been outcry by some parents because this new entitlement isn’t for everyone but it is for most. Some who receive certain benefit types will not be included in the new system however others, regardless of household income, will. Regardless of your stance on the politics of the debate, it’s hard to argue with the fact that all children should have access to healthy food in these crucial early years of a child’s physical and mental development. Recently, for example, a recent study showed that over 25% of 5-year-olds have some form of tooth decay. Over the past decade, there has been a lot of attention on children’s access to healthy food. We’ve seen fast food giants updating their menus and TV chefs brainstorming ideas for the future of school meals. This latest move by the government shows that the issue hasn’t settled down and is very much still in the minds of many. 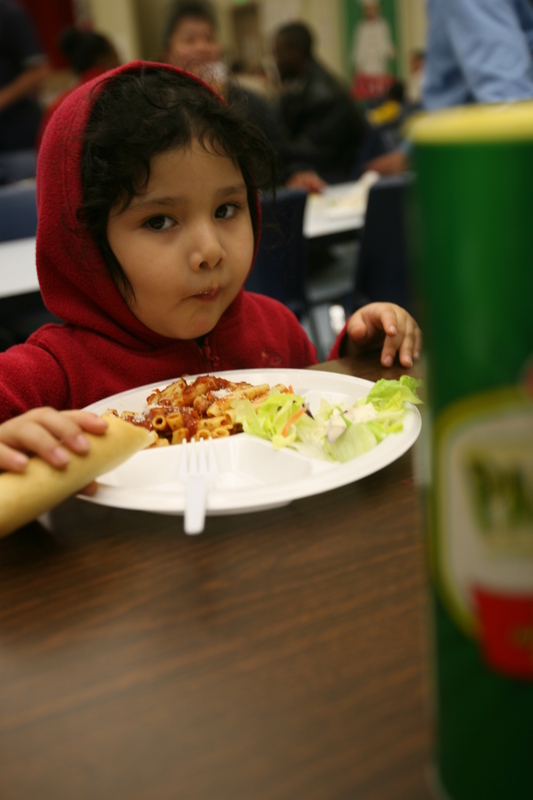 While it’s true that some children will receive a healthy lunch from their parents regardless of this new entitlement, it’s sometimes easy to forget the many households whose children do not get access to healthy food, most often through habit or convenience. With a household looking to save up to £400 (approximately $650) per year, per child, it’s unlikely that anyone will turn down the opportunity to take part in the new, free school meals scene. A healthy diet starts at home. As I mentioned, habit and convenience often get in the way of healthier choices but there are ways of instilling a new habit for healthy food in children from a young age. Firstly the child needs to be interested in cooking, making and preparing food. Many children will play with traditional wooden cooking toys or play kitchens as a young child and this is a great chance to spark a child’s interest in cooking. With a parent’s guidance, it’s easy to go from rolling Plasticine with a pretend rolling pin to rolling dough with a real rolling pin. It doesn’t stop there; you can teach your child many simple and useful practical skills in the kitchen. The key is making it fun and getting the child involved instead of leaving them as a bystander. Some good childhood friends of mine have gone on to work in the catering industry as chefs and one thing that they all have in common is that their parents had instilled them with a passion for cooking by getting them involved in the kitchen from a very young age. Doing this with young children will wire their brains to be more conscious about cooking and preparing food, giving them a better idea as to the role of ingredients and the specific parts they play. Learning these sorts of tips, even as an adult, undoubtedly has an effect on what we choose to eat. Whilst learning cooking skills as a young child will be great for them in the future, it doesn’t readily apply to the children at the age eligible for these new government planned free school meals. They will not have learned enough to make responsible decisions about what they want in their lunch box by year two because, put simply, they’re children. It’s our responsibility as parents and adults to give children the best chances to eat healthy and offering them access to at least one healthy meal a day is a good thing.